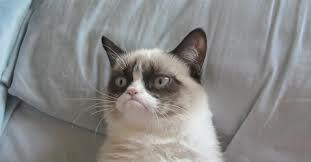 It was recently revealed that the infamous Grumpy Cat - real name Tardar Sauce - has made her 29-year-old owner US$64 million. That exact number was apparently a little over-inflated, but the fact still remains that the cat with the famous scowl has proved very lucrative for her human subordinate. Grumpy Cat, a cat with dwarfism and an underbite, has managed to achieve in two short years what many business owners and entrepreneurs struggle to ever come close to. 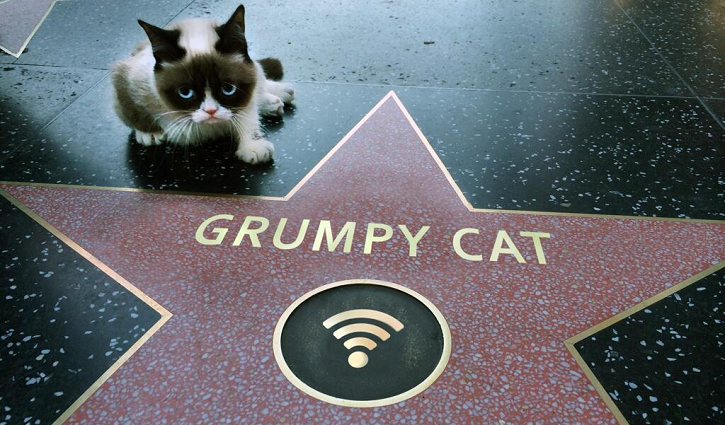 The celebrity sourpuss has amassed a huge social following with an enviable virality, a Wikipedia page, a book, a movie deal, merchandise, awards, ‘spokescat’ status, her own cappuccino brand (that’s a Grumppuccino, by the way), apps ... the list goes on. I’m not kitten when I say this feline means serious business. So how did she end up being the cat that got all the cream? The number one rule of marketing is to focus on your point of difference, the thing that makes you stand out from your competitors. 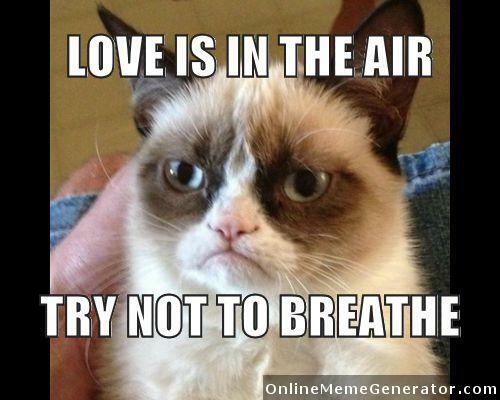 What Grumpy Cat teaches us is that actually sometimes we can turn a perceived negative into a positive. Cats are known to be the jerk of the animal world, but Grumpy Cat embraces her flaws; she’s not trying to be anything she’s not. Is there something off-beat, comical or controversial about your business or image that you could play off and present with a positive spin? Opportunity is not just about luck, and opportunities don’t always present themselves in a way you expect. Opportunities often come from challenges or obstacles, or from something that you otherwise would not want to draw attention to. 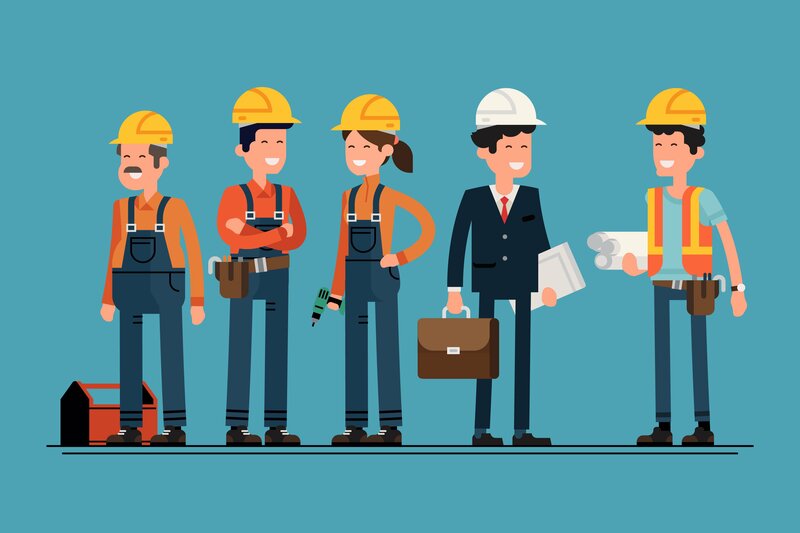 Examine your own business and try to identify an area, certain skills or a personality in your business you haven’t explored yet that could potentially open new doors for you. The more creative you get with your thinking, the more opportunities are likely to present themselves. Before you know it you’ll have your own Christmas decorations and animated series too. Brands are on a constant quest to achieve ‘viral content’ status (hopefully for the right reasons, of course). But you can’t just post a clip on YouTube and sit back and watch it go gangbusters. While the internet does have the power to create an instant celebrity like Grumpy Cat, the reality is that ‘going viral’ doesn’t usually happen overnight, not for brands at least. A good viral campaign, like the WestJet Christmas video or the cute UPS kid, took months of strategic planning. It takes a lot of PR work and prepping of online social communities for the launch to be a success. Carefully consider the timing of your marketing campaign and do the groundwork first. Monitor the perception of your brand and make your move when you feel you have a solid loyal following who will help you promote your campaign through social. 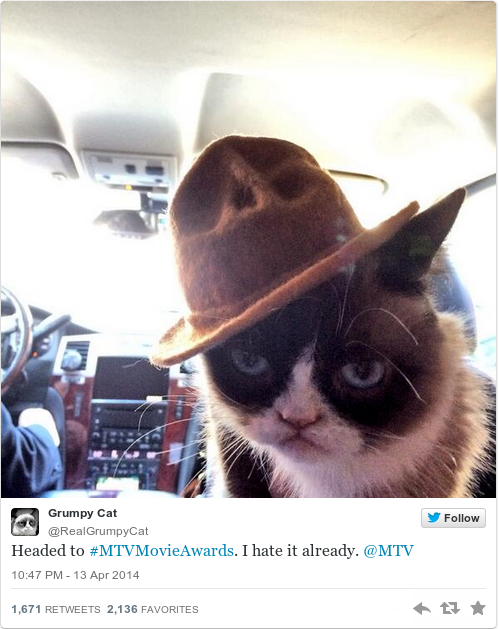 Despite lacking opposing thumbs, Grumpy Cat is super active on her Twitter account. She responds to tweets, retweets her favourites responses and just generally walks all over the keyboard in typical cat style to share her latest mew-sings. Leverage your social media accounts that are appropriate to your target customer. Establish a relationship with your audience that is not just based on sales and promotion and encourage your customers share their experiences with your brand with others. Genuine interaction with a persona, not just a brand, is more powerful for growing your reach. 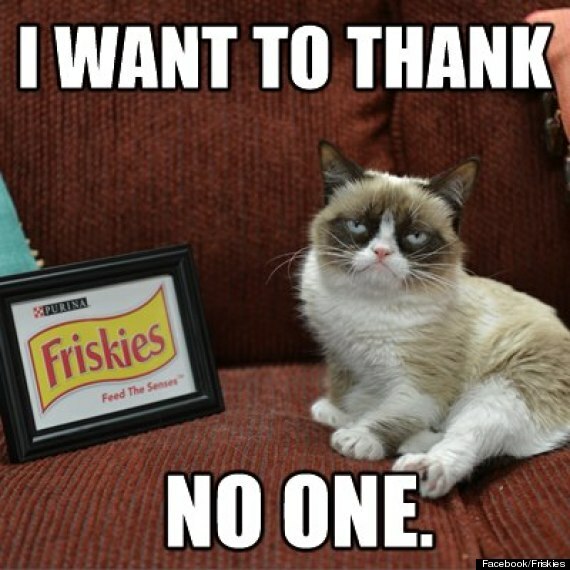 Grumpy Cat’s fame grew thanks to one simple photo that sums up her complete brand story. She is an icon that is easily modified, shared and remembered. Lucky for her, animals - in particular cats - have a timeless appeal that is unlikely to go out of favour anytime soon. Take a tip from Grumpy Cat and use a visual element throughout your social media and marketing that will be instantly recognisable as your brand to build your business story. A recognisable image encourages your audience to connect, engage and share your brand through both their online and real-world networks. Why does Grumpy Cat ‘work’? Because we can all relate. 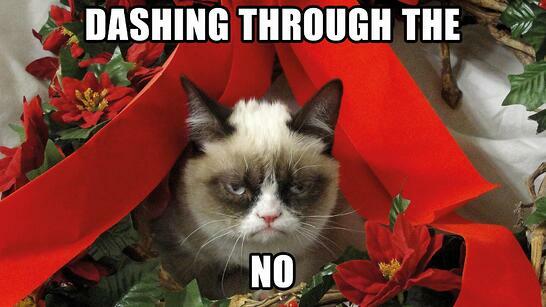 Even if you aren’t a cat person, you can appreciate the humour of the Grumpy Cat meme. Moreover, Grumpy Cat pretty much sums up the judgemental, hard-to-impress attitude of today’s generation, so it’s no wonder she’s a hit! To be a marketing success, present a story that your audience connects with. How can you make your business or marketing more personal, relatable and present a persona that your audience connects with on a human level? 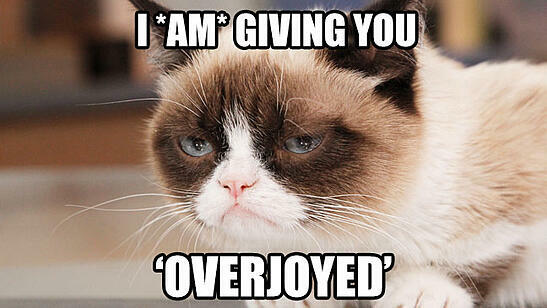 Constantly adapting has kept Grumpy Cat in the spotlight. She’s gone from a one-photo cat to a fully-merchandised feline. She has stayed relevant by leveraging off topical content and by continually adding new products to her ever-expanding enterprise that meet market demands. What does your audience want? How can you adapt your services to fit the changing needs or wants of your target customer? 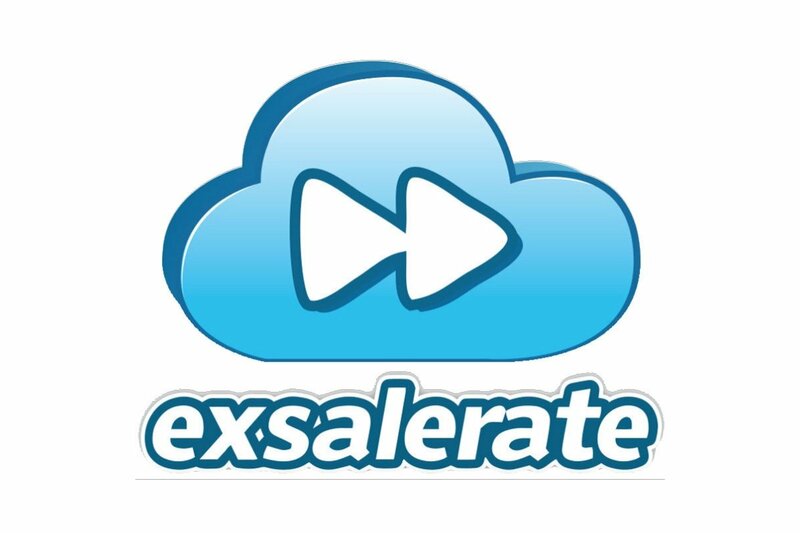 If you’re an accountant, is it time to embrace cloud accounting solutions? If you’re a web designer do you need to add search engine optimisation to your services? 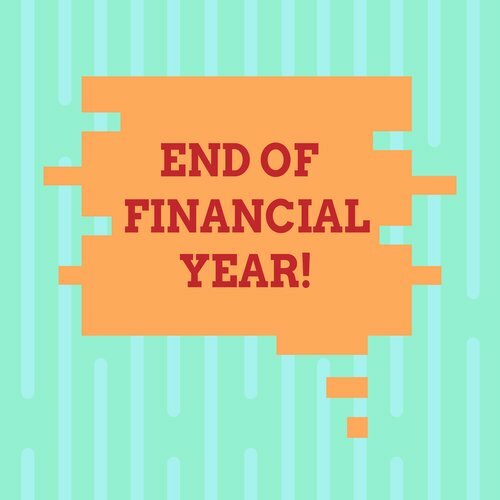 What added value services or products can you include so you continue to stay relevant in the market? However, if you give these 7 tips a go and your marketing attempts still fail, you can always head down to the local animal shelter to find yourself a cat, then read up on this book: ‘How to Make Your Cat an Internet Celebrity: A Guide to Financial Freedom’. 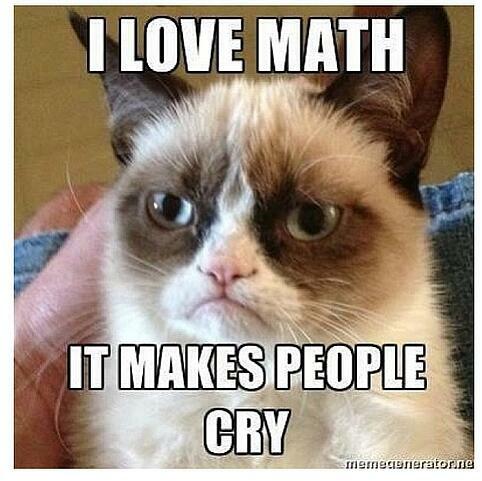 What other lessons do you think we can take from the success of internet memes such as Grumpy Cat? Share them in the comments below.